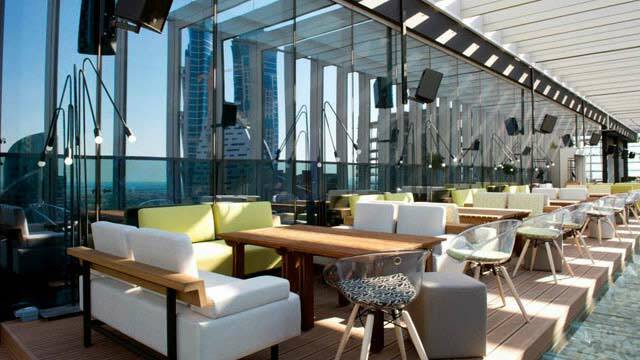 At the 5th floor of the Sofitel Dubai Downtown you find this amazing rooftop bar and terrace, called Mosaic Pool & Lounge. 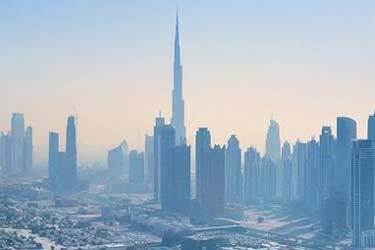 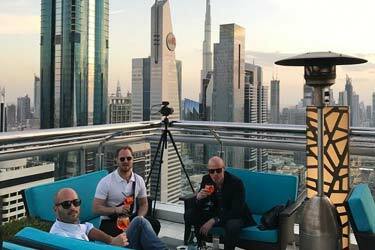 It is hard to say if the best feature is the incredibly luxurious decor, the really cool close up views of Burj Khalifa or the amazing rooftop infinity pool. 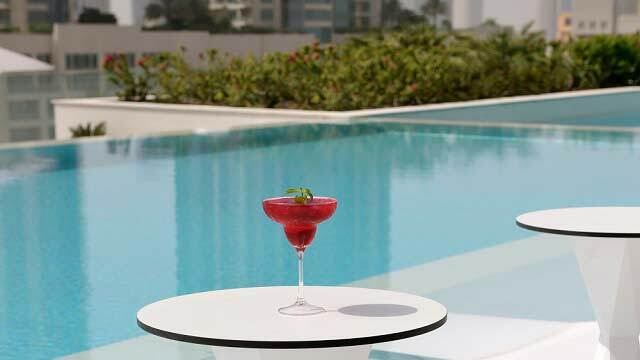 It might just be the last on, as it is by many considered as one of the very best rooftop pools Dubai has to offer. 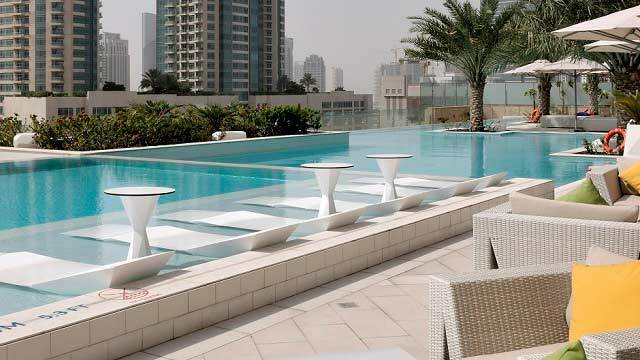 Serving as a pool lounge by day, the large and airy terrace is open to hotel guests but also to non-residents for a fee (AED170/person in 2018). 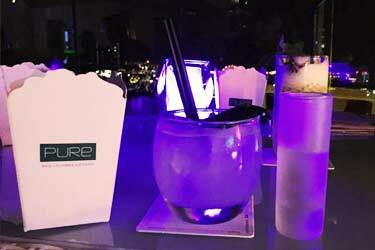 Ease down in one of the comfy sun loungers and enjoy great signature / sparkling / frozen / classic cocktails along with burgers, wraps and pizza. 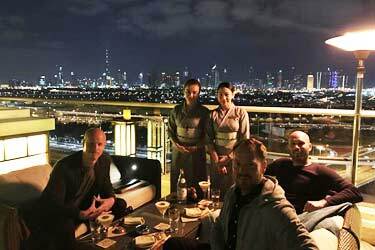 At night the terrace transforms into a trendy Arabic lounge, serving cocktails and Lebanese cusine. 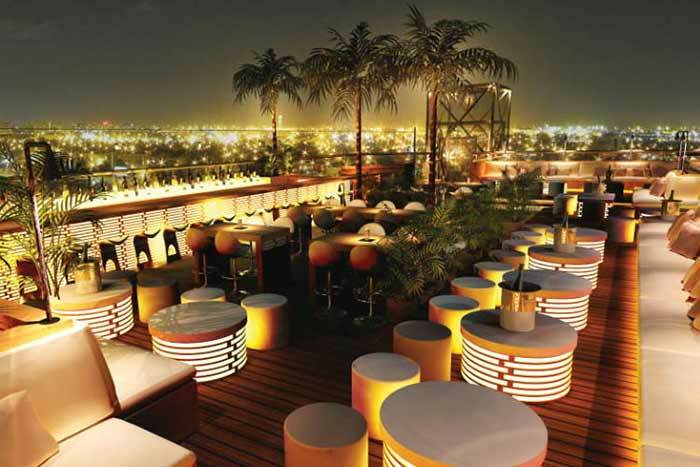 Expect great service and a sophisticated atmosphere. 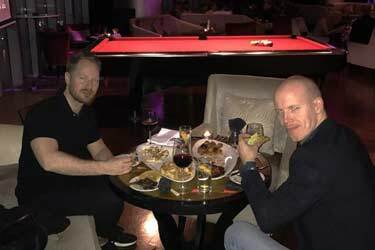 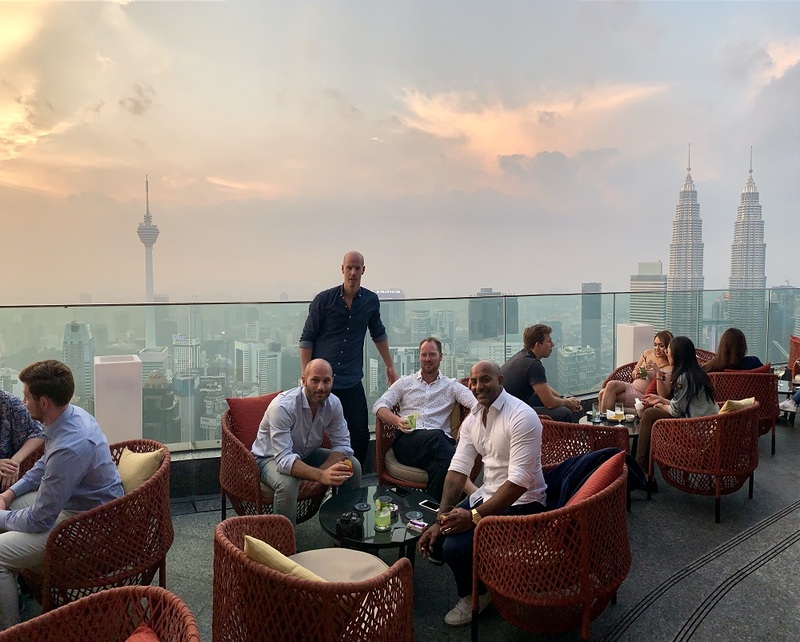 At the same floor you also find the Player Sports Bar and Terrace, where you can play pool, dart and beer pong, watch live sport events and step out for a drink or shisha on a seperate terrace also overlooking the Burj Khalifa. 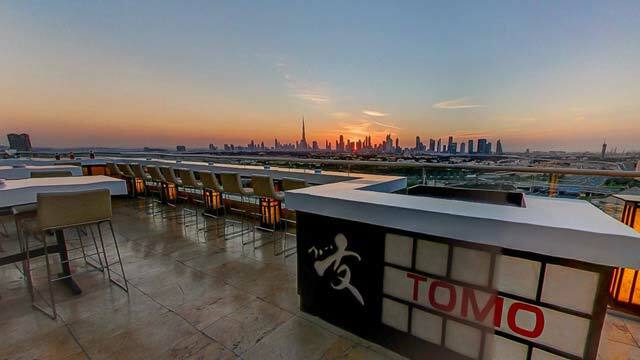 Tip: Enjoy the perks of having rooftop pool, rooftop bar and a sports terrace on your "home ground" by booking your stay at the 5-star Sofitel Dubai Downtown. 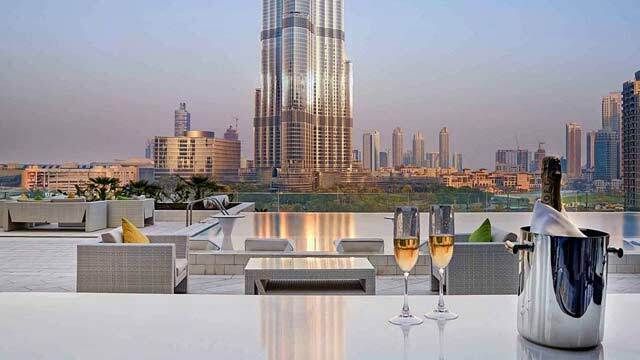 Read more about one of the worlds most luxurious rooftop pools at Sofitel Dubai Downtown, at our top 10-list of the best rooftop pools in the world. 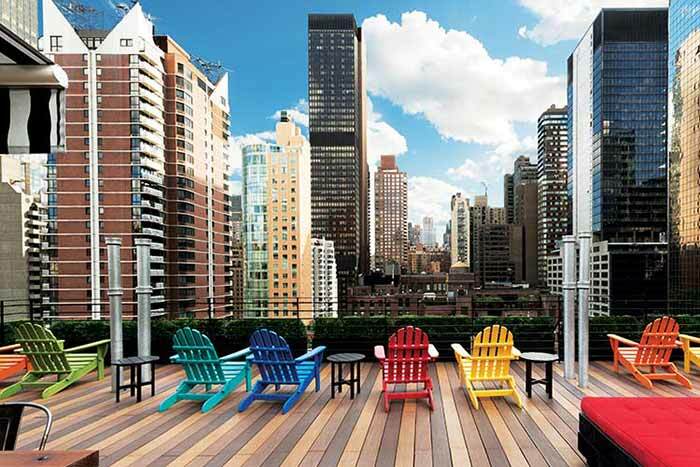 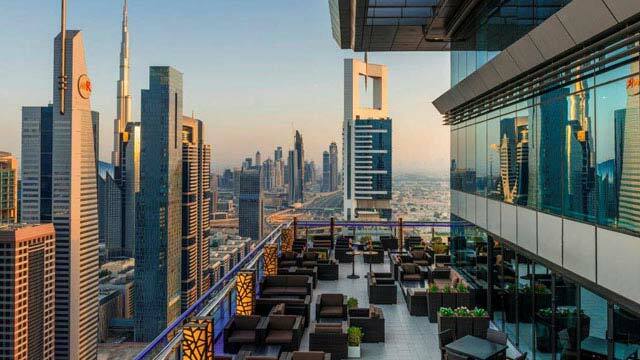 Check out our list of the worlds best hotels with a rooftop bar where Sofitel Dubai Downtown ranks as number 7.